What about the biggest anomaly of the sixth pay commission. The LDCs grade pay upgradation issue. Why is that this blog has suddenly stopped discussing and protecting the issue which was one of the main agenda for this website. Please reply me general secretary. Yes you are absolutely right. All are silent on genuine issue of LDC UDC Grade Pay. 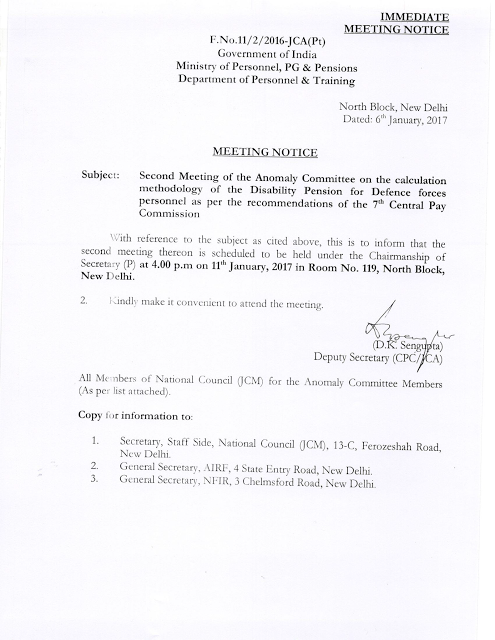 Why LDC UDC grade pay upgradation issue was not discussed in the Anomaly committee. It is the biggest anomaly of the sixth pay commission. The court case is held up due to non receipt of documents from anomaly committee. Why is that I feel that now this blog is not paying attention to LDC UDC grade pay upgradation case.